Rev. Dr. Charles B. Mantey is the founder and Senior Pastor of Disciples Revival Church in Toronto, Canada. For the past thirty-three years, he has ministered, and trained church Leaders in many parts of the world, including Ghana, Canada, New York, Britain, Singapore, South Africa, and Grenada in the Caribbean. He was a teacher by profession before entering the ministry. He was trained at Christian Service University College in Kumasi, Ghana where he graduated with Diploma in Biblical Studies and Diploma in Theology from the University of Ghana in 1982 in a current program. He also graduated from Tyndale University College & Seminary with Master of Divinity in 1994; and Doctor of Ministry in 2012. The book argues specifically that Africans understanding of love forms the basis of their communal way of life, a concept that enables them to share in each other’s burden in lieu of government support or social intervention services to help the vulnerable in time of need. 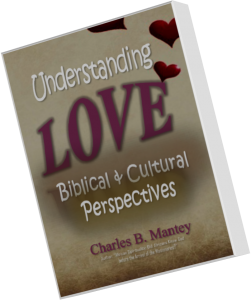 The book challenges Christians and non-Christians on how they perceive, demonstrate and embrace love. It provides critical insights to cross-cultural students, missionaries and people of African descent (as well as others) who desire to have an in-depth knowledge not only about Africans and their understanding of love, but the Western and Eastern perspectives of love. Shidaanikei Publishers, Inc., is a Canadian-based publisher with emphasis on African contents that would enhance knowledge about Africans and the continent. We strive to encourage a strong and entrenched writing and reading culture among Africans by publishing contents that are useful and relevant to their existence. Aware of the difficulties of getting published, we aim to provide African writers the often elusive opportunity to have their work published. What we offer is a unique partnership of mutual gains that begins with the candid evaluation of manuscripts and if accepted, to eventual publication. We strongly encourage writers with manuscripts that focus on other spheres of human endeavour to submit them for consideration – we are interested in fiction, non fiction, poetry, short stories, novels and biography/memoirs.To purchase the book from the publisher send an email to info@shidaanikei.com and you will be provided instructions on how to purchase the book.